The United Churches is dedicated to reaching out to our community. We do that through many different missions within the church. Bearly Used Boutique--This is a unique Christian clothing store featuring chic, new or "bearly used" clothing for children through adults. The boutique is a non-profit endeavor to assist persons in the community who may find themselves in a disadvantaged position. A free-will offering is accepted and any money received is put back into the boutique for clothing or supplies. The Boutique is open from 4:30pm -6pm Thursdays from October through April. 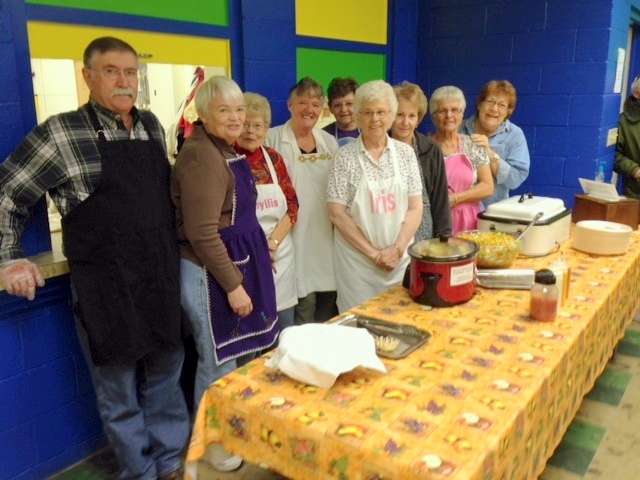 Community Spaghetti Suppers--Reaching out to all members of the community, the United Churches hosts the Community Spaghetti Supper on Thursdays (except for holiday weeks) from 4:30-6:00pm, October through April in the Lower Level. 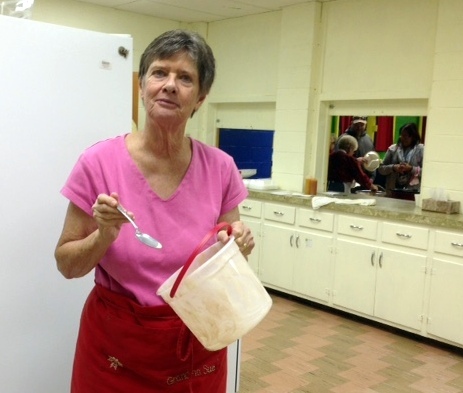 Providing a warm nourishing meal, along with smiles and loving greetings as an example of Christ's love, is the mission of the "Spaghetti Team". Donations enable this program to continue. The people who prepare the meal welcome assistance with supply procurement, dining room setup, food preparation, greeting, serving, and kitchen and dining room cleanup. Many people look forward to this meal of spaghetti with meat sauce, green beans, tossed green salad, garlic toast, ice cream and coffee or juice.